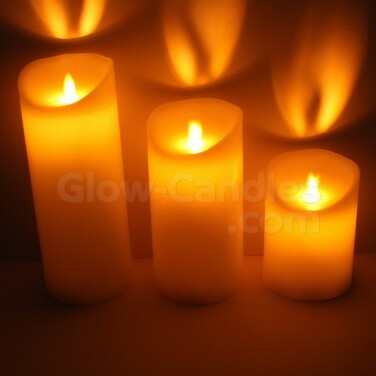 Stylish real wax pillar candles lit by warm amber LEDs with a dancing flame effect for safe candlelight effects. 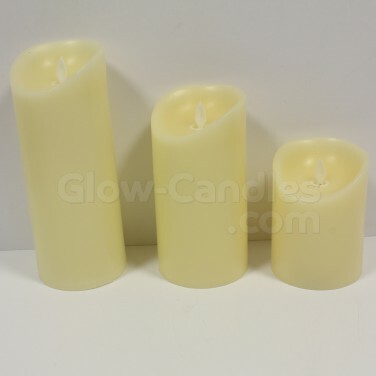 Made from real wax, these ivory pillar candles are lit by warm amber LEDs for realistic flame effects.  With three sizes per pack; 12.5cm, 18cm and 23cm tall, there's plenty of options for design with each size complimenting one another. 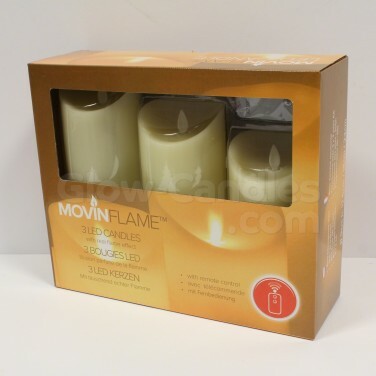 Battery operated, these stylish candles can be placed anywhere and with a timer function (6hrs on/18hrs off) and remote control you can simply place them and enjoy ambient candlelight without the risks from real flames.